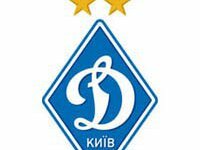 Dynamo Kyiv will face Manchester City in the last-16 of the UEFA Champions League. These are the results of the draw held at UEFA headquarters in Nyon, Switzerland, on Monday. Dynamo has played with Manchester City in the last-16 of another European Cup - the Europa League in 2011. Then, the Ukrainian team passed to the next round having won 2-0 at home, and losing 0-1 in Manchester. The remaining pairs determined by the draw are Ghent v Wolfsburg, Roma v Real Madrid, Paris Saint-Germain v Chelsea, Arsenal v Barcelona, Juventus v Bayern Munich, PSV Eindhoven v Atletico Madrid, and Benfica v Zenit St Petersburg. First legs will take place on February 16-17 and February 23-24. Return legs are due on March 8-9 and March 15-16. The finals will take place in Milan on May 28, 2016.